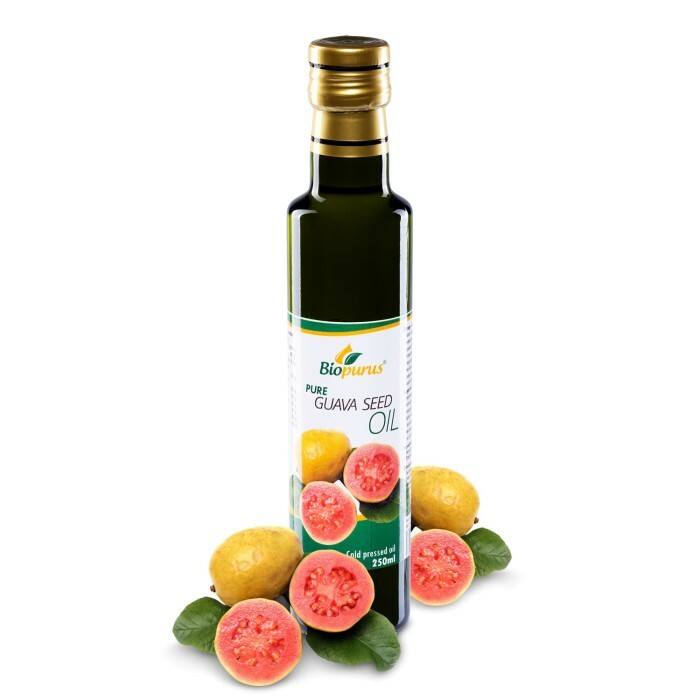 Cold pressed - unrefined Guava seed oil has an impressive content of linoleic fatty acid. The aroma is mildly sweet and reminiscent of the fruit.The Guava Oil has nourishing and soothing properties. It is very rich in lycopene, a powerful antioxidant known for its protective effect against free radicals. Guava Oil is also a good source of beta-carotene, vitamins A, B, C, E and K, minerals: calcium, copper, iron, magnesium, manganese, zinc, selenium and phosphorus. Studies show that guava oil has a good antimicrobial activity and because of its astringent properties, it is a good ingredient to develop anti-acne preparations.